Step right up - everyone's a winner! You can play Pie Throw once every 2 hours for 500MP. 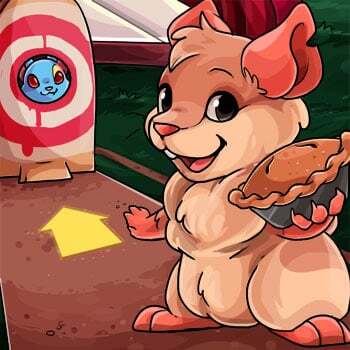 Crumble will give you 3 pies to throw at the target. Hit the quarter of the target with an MP value to win MP. Hit a bullseye to win a Pie or increase the multiplier. Not interested? Stand back or you may get a pie to the face yourself!